An owl or tree branch? You decide. 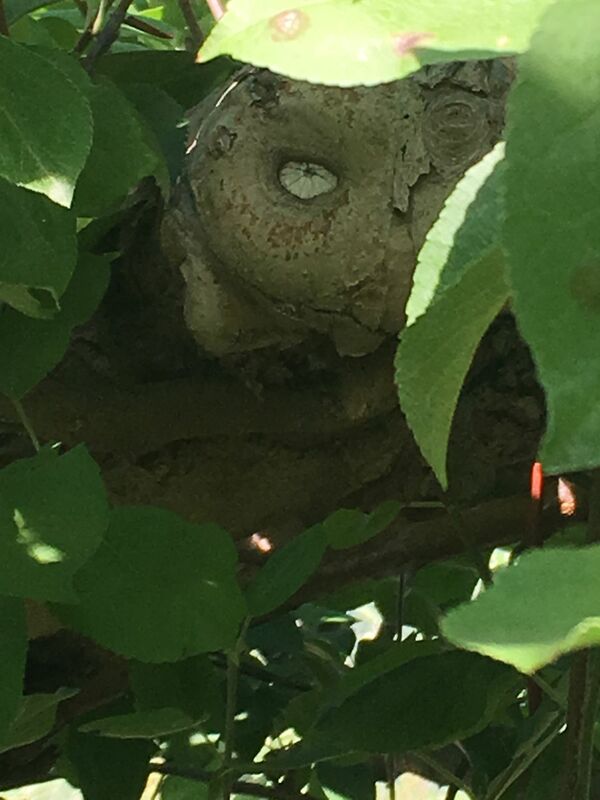 While apple picked my this fall we found a knot in a tree that looked like an owl face at first glance.